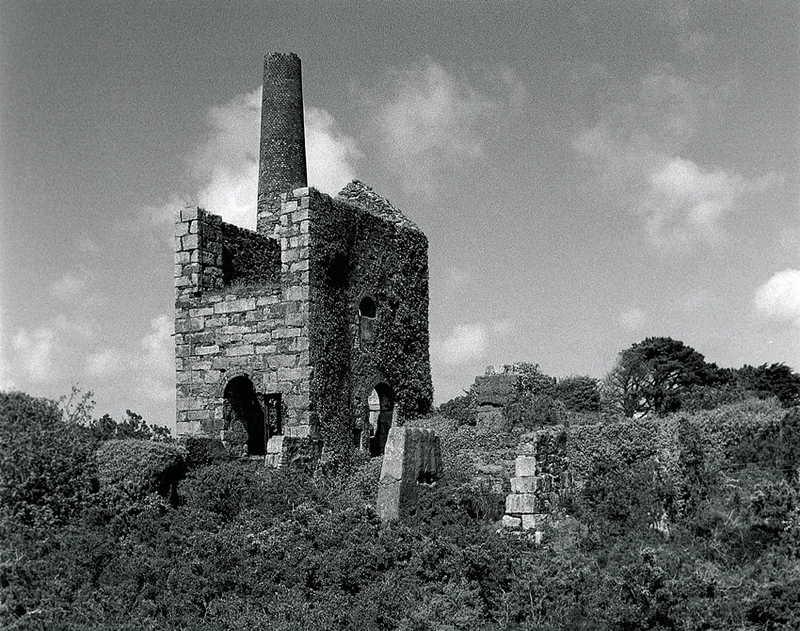 This page covers both West Peevor and the Wheal Peevor Mine sites. 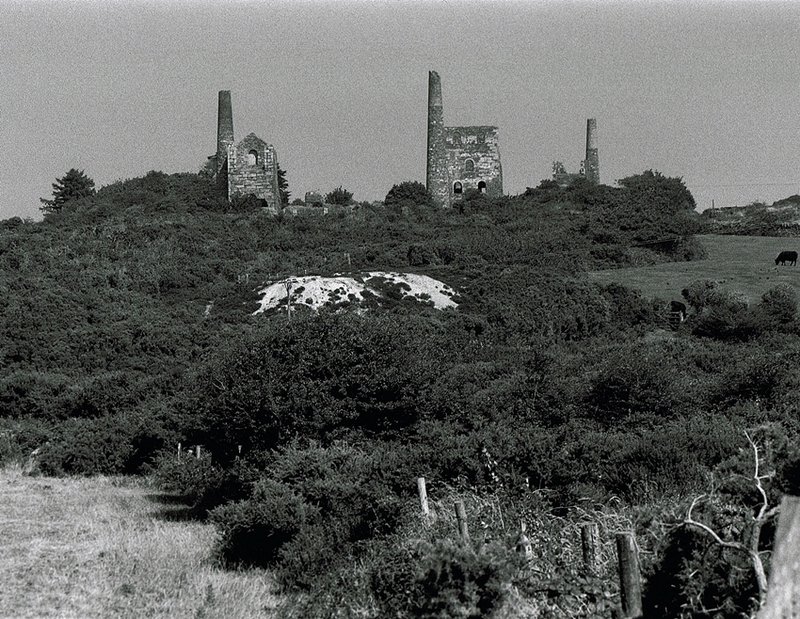 In total there are five surviving engine houses in a relatively small area, the Peevor Mine is adjacent to the A30 and is a familiar landmark to passing motorists. The area was reclaimed and stabilised during 2005-2007. The engine houses received much needed structural restoration, however the underground access to a major site was lost. The images on this page are ordered as if the visitor is walking up the valley from the west to Wheel Peevor main site, all these images were taken between 1996-1999. 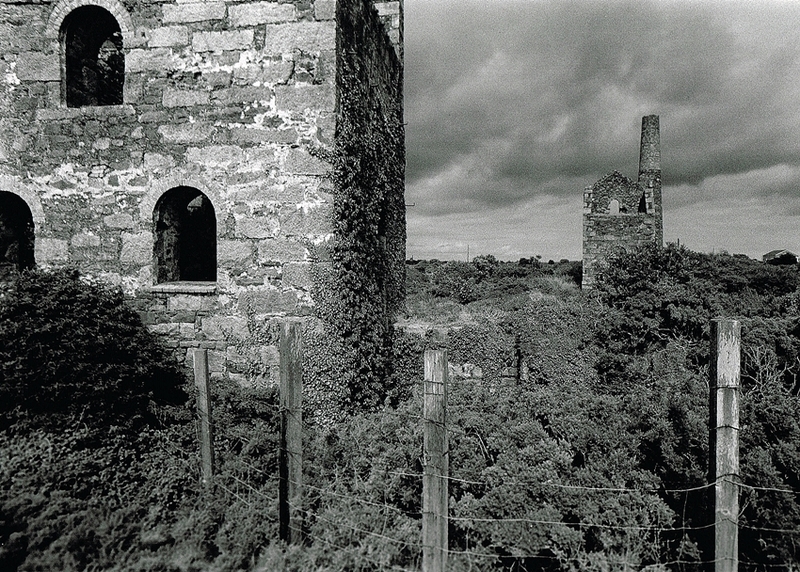 A view of the 50″ Pumping Engine House on Mitchell’s Shaft, West Peevor Mine. West Peevor Mine is situated in the valley below Wheal Peevor. The two engine houses on the site were erected in 1882. 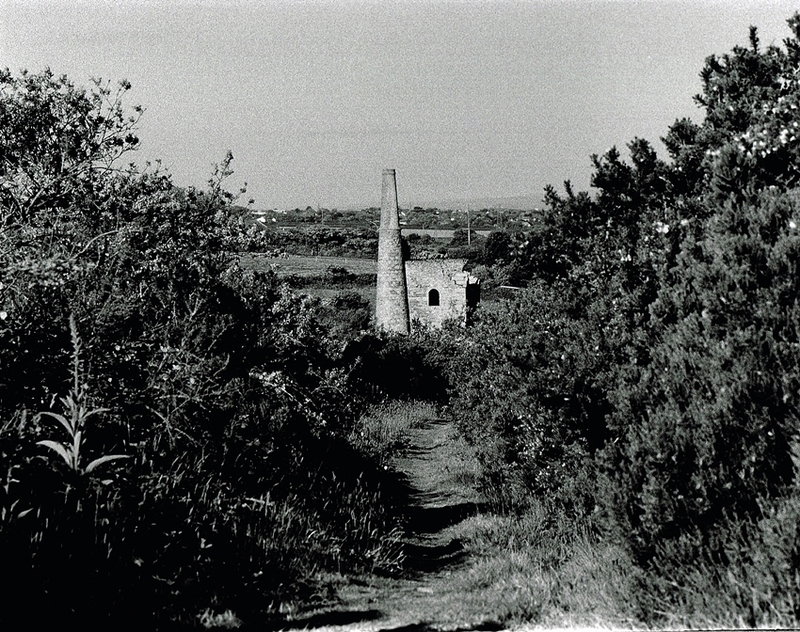 A 50″ Pumping Engine on Mitchell’s Shaft and a 22″ Stamps Engine, there was also a winding house but only the base survives somewhere in the gorse. The mine was closed in 1887. 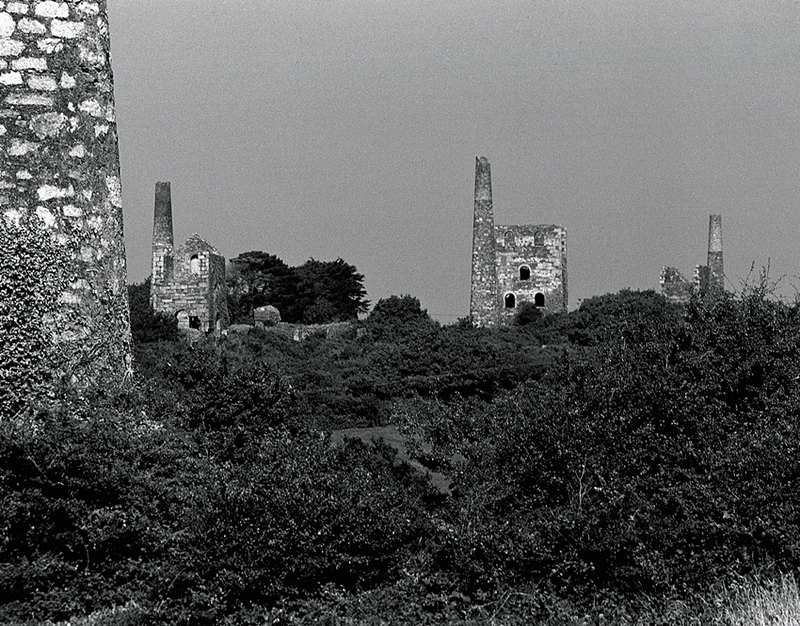 The story was not over, during the 1960’s the mine was re-investigated in an effort to intersect the Wheal Peevor lodes. During this process a concrete plinth was erected in front of the engine house to mount an electric hoist, also the building was reduced in size. After a favorable drilling programme the shaft was re-opened and investigated to a depth of 170ft. At this point the miners found a shaft blockage which proved impossible to shift, subsequently the shaft was capped and the project was abandoned. 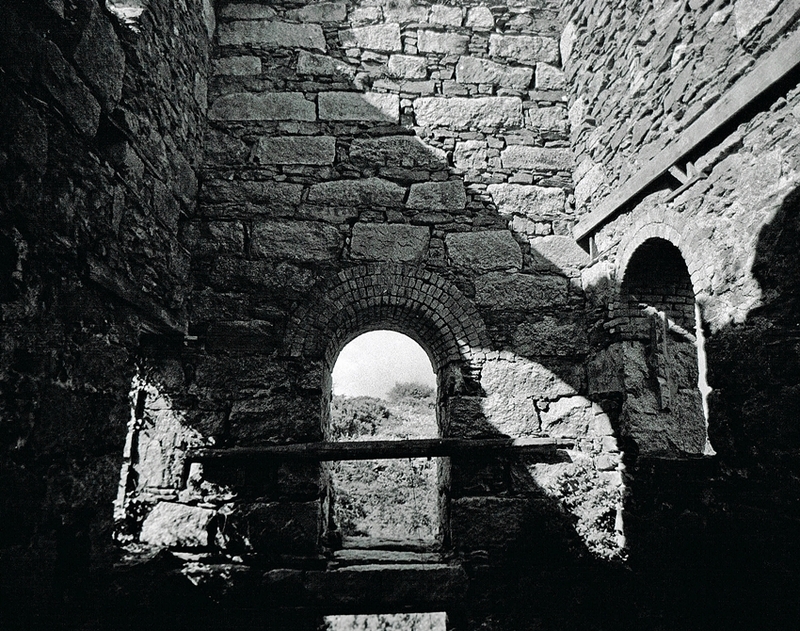 An interior image of the 50″ Pumping Engine House on Mitchell’s Shaft. 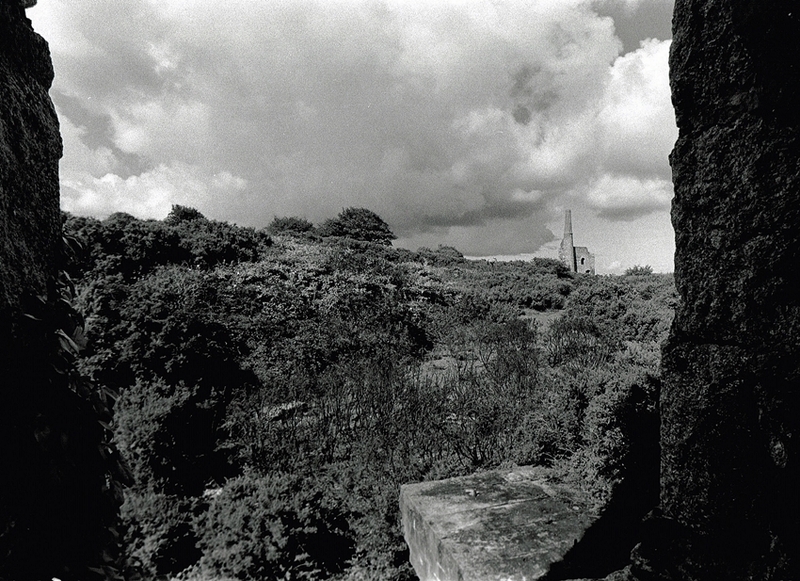 An image taken from the pumping house on Mitchell’s Shaft of West Peevor Mine looking towards the Stamps House across the capped shaft. 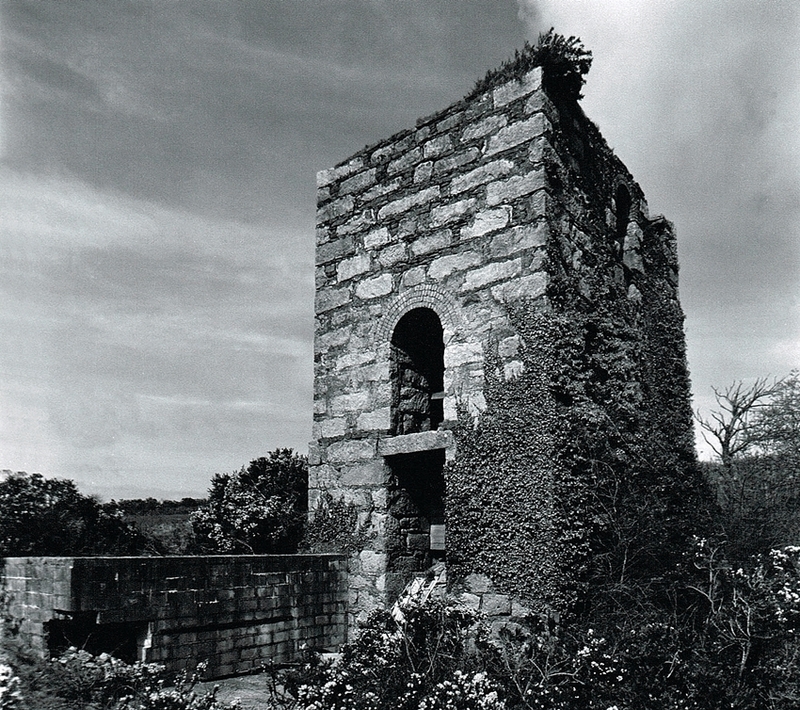 Looking back at Mitchell’s Shaft Engine House. An image of one of the surviving secondary buildings. When I last went back the whole area was very overgrown. 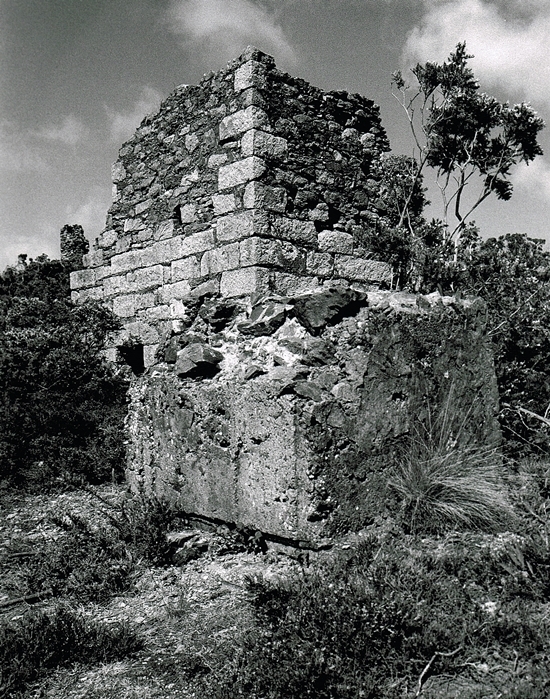 A second building at the mine, possibly a Smithy. 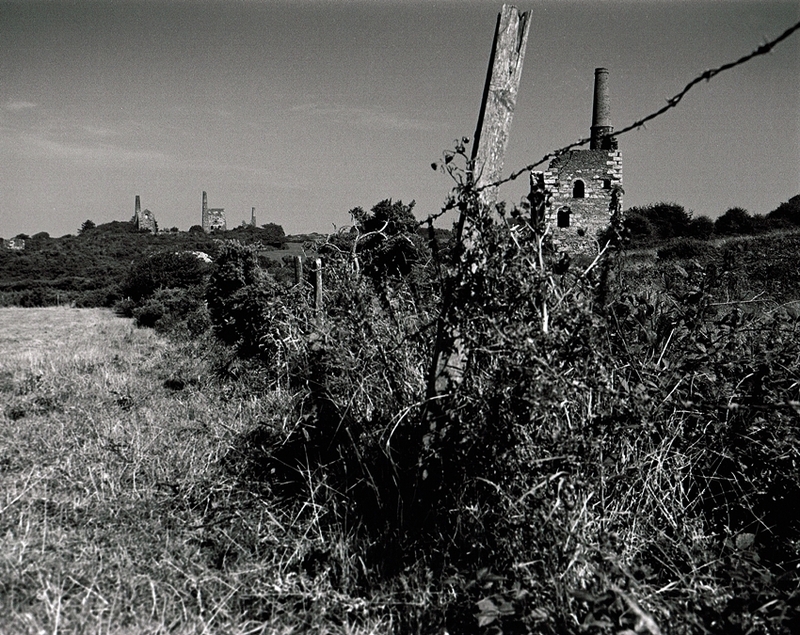 The three Engine Houses of Wheal Peevor are in the background. 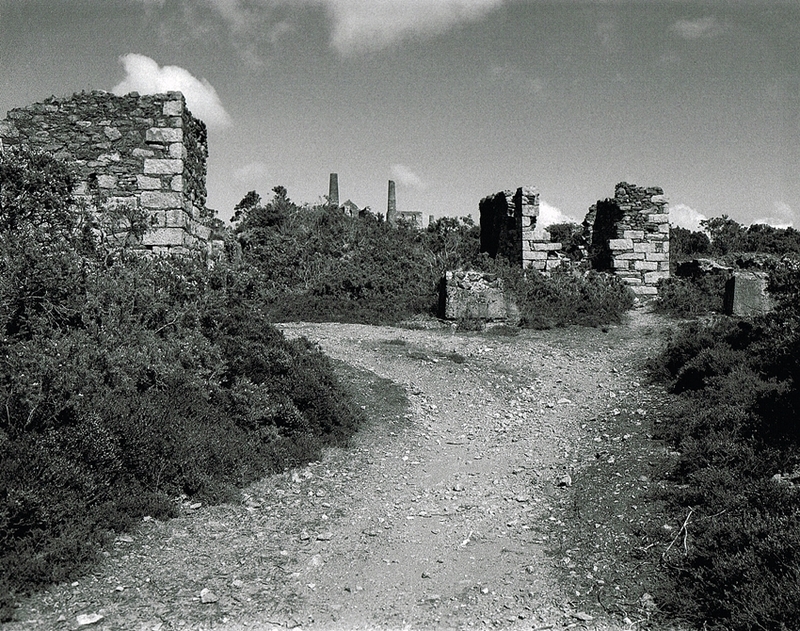 A second image of the same building, in the background is the remains of one of the mine’s Calciners. The 22″ Stamps Engine House of West Peevor. Sadly the majority of the wing wall had collapsed with the remaining blocks ready to go. 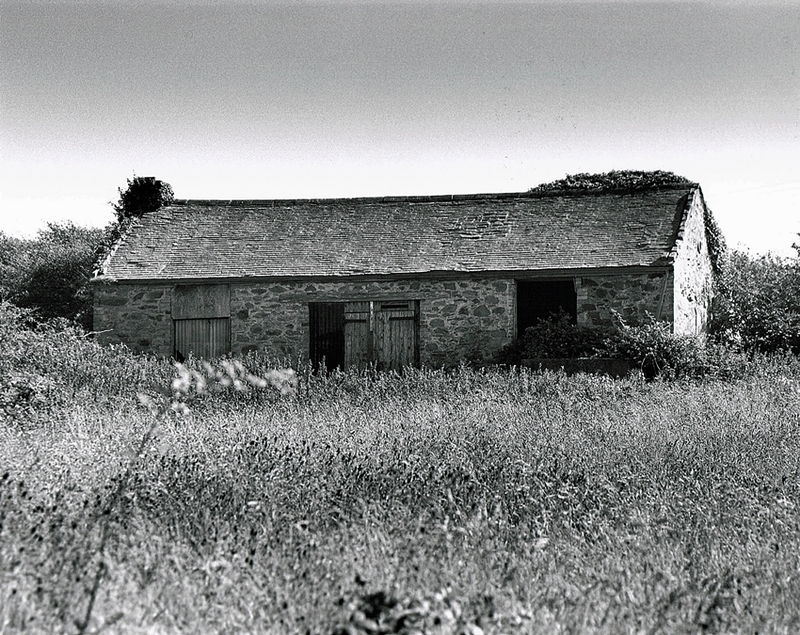 In the foreground is the Stamps Engine House, this and other to follow were taken with permission, on private land. An image of the other side of the Engine House, also showing the bad condition of the brickwork. The front of the Engine House, the stonework here had suffered as well. 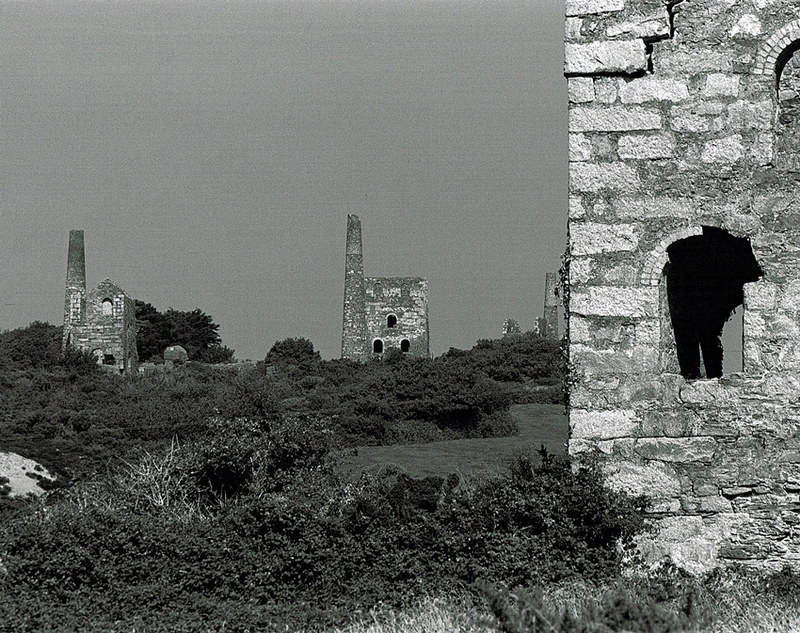 The three Engine Houses of Wheal Peevor, framed by one wall of the Stamps Engine House. 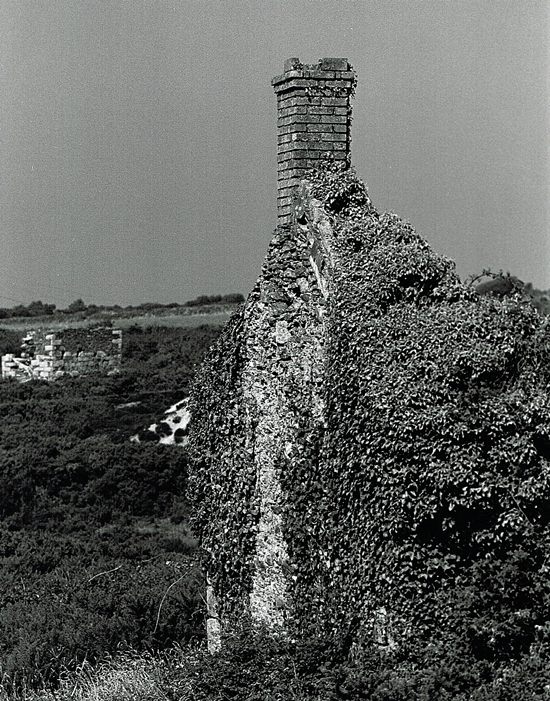 The same image from the other side of the Stamps Engine House, the base of the chimney is on the left. 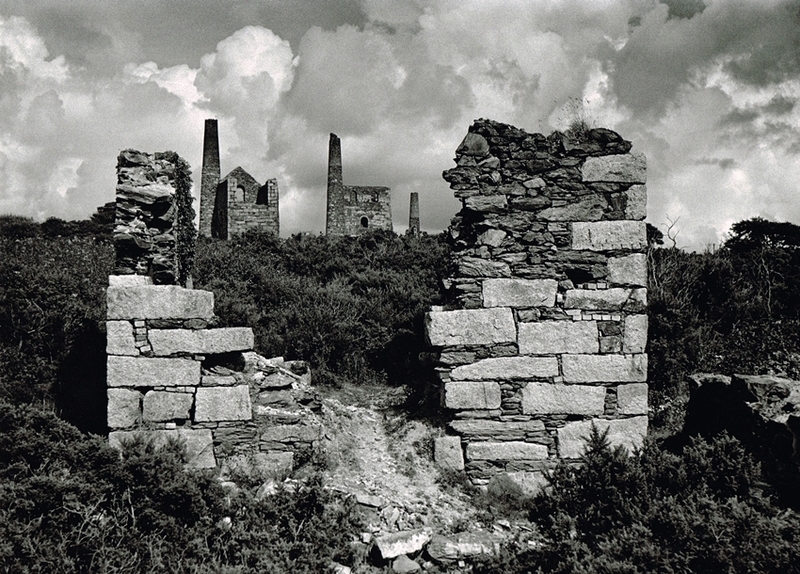 On the approach to the Wheal Peevor site, looking back at the Stamps Engine House. 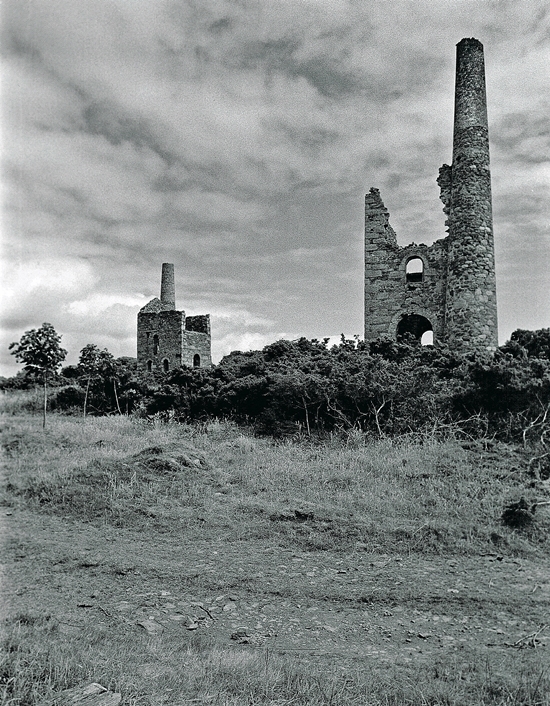 Walking up the valley from West Peevor this is the classic view of the three engine house survival of Wheal Peevor, possibly the best remaining in Cornwall. From left to right; Stamps, Pumping and Whim Houses. The latter two were always at right angles to each other across the main shaft. 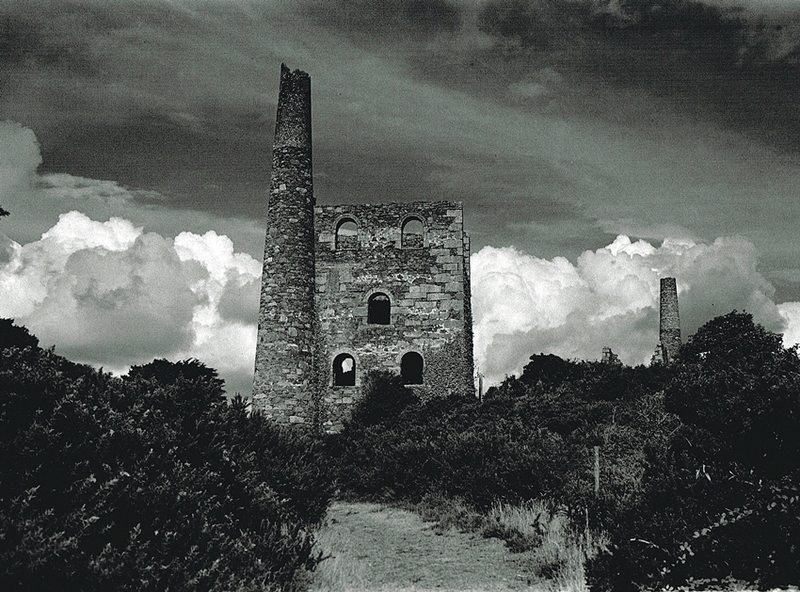 The original Wheal Peevor Mine dates back to the 18th Century when the site was worked as part of Great North Downs Mine producing Copper from shallow deposits. 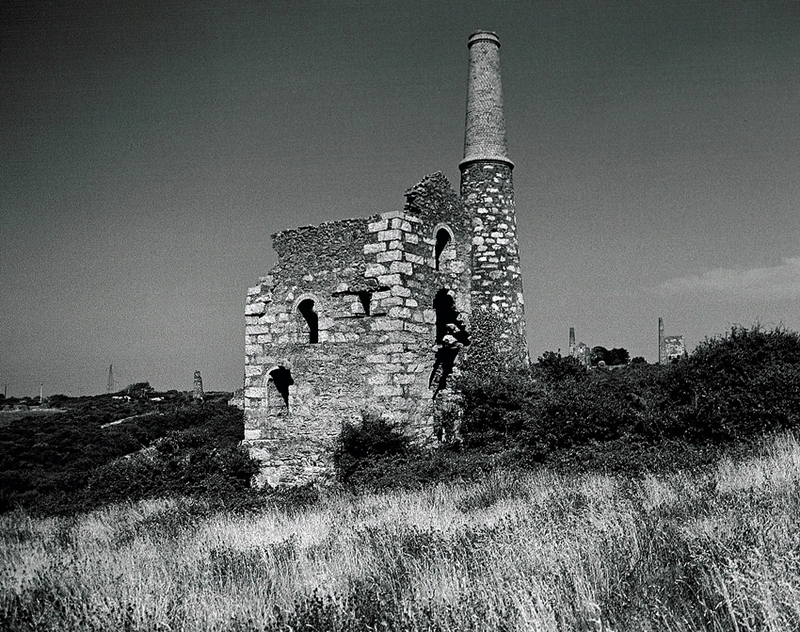 The mine proper started in 1872 with the erection of the remains we see today. The underground workings were concentrated at around 40 Fathoms below adit level on a rich lode of Tin which assayed at around 4% Tin. Because the usual recovery was 1.5% this kept the mine in profit whilst others failed. 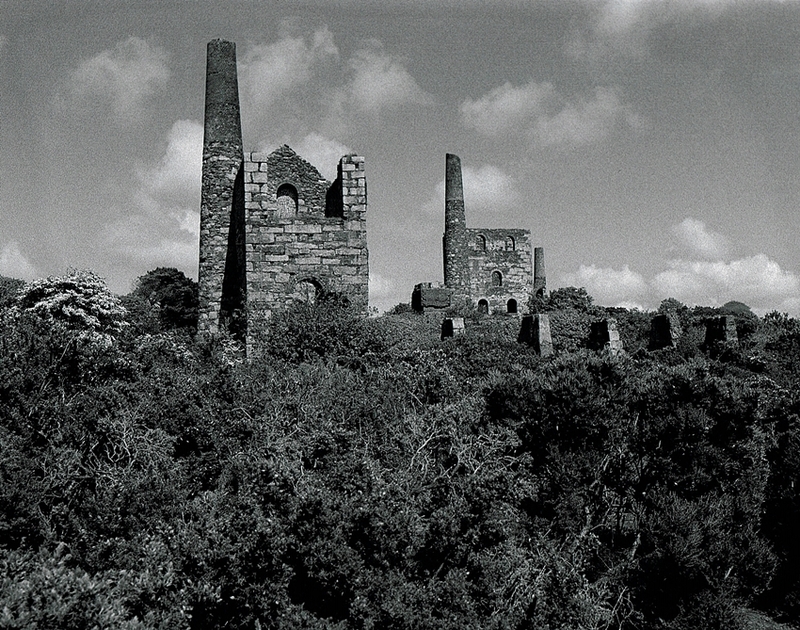 There are two Calciners on the site which were built to process Arsenic which was a valuable by-product. The first close view of the Calciners walking up the valley. A more detailed image of the Calciner. 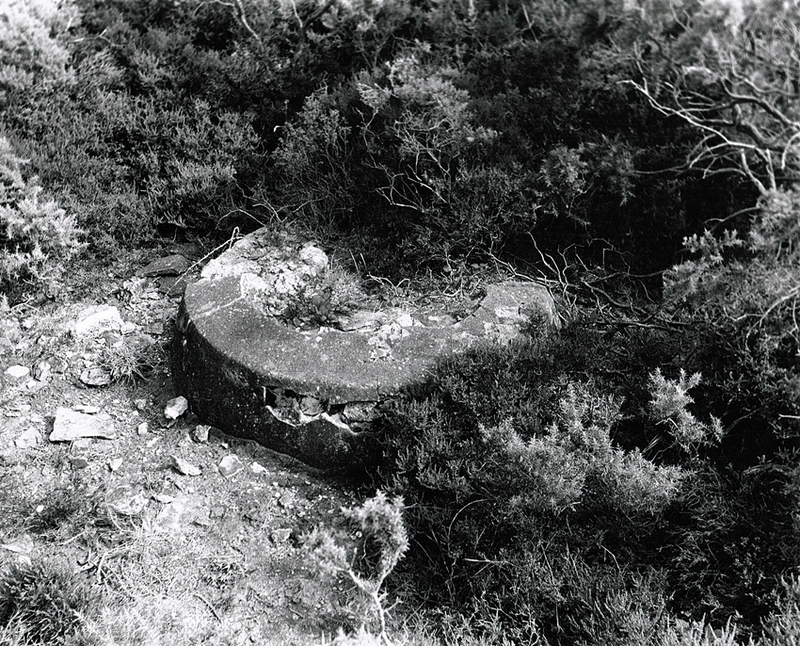 In the foreground is a mounting block for some long removed machinery. 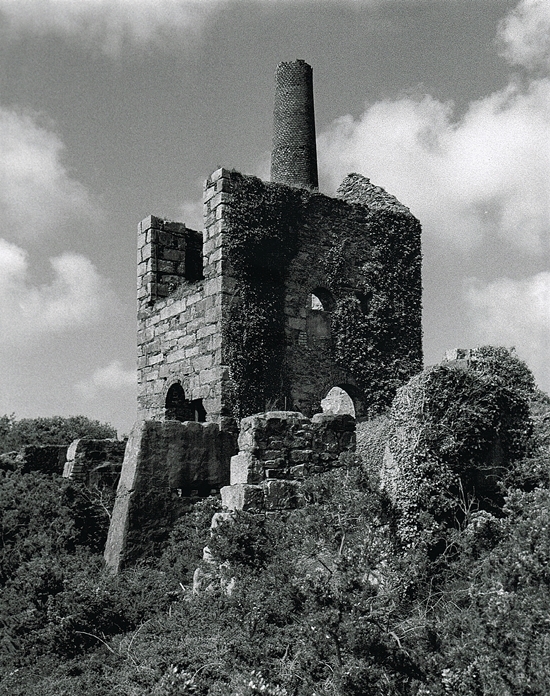 One of the buddles at Wheal Peevor used to concentrate the Tin material. 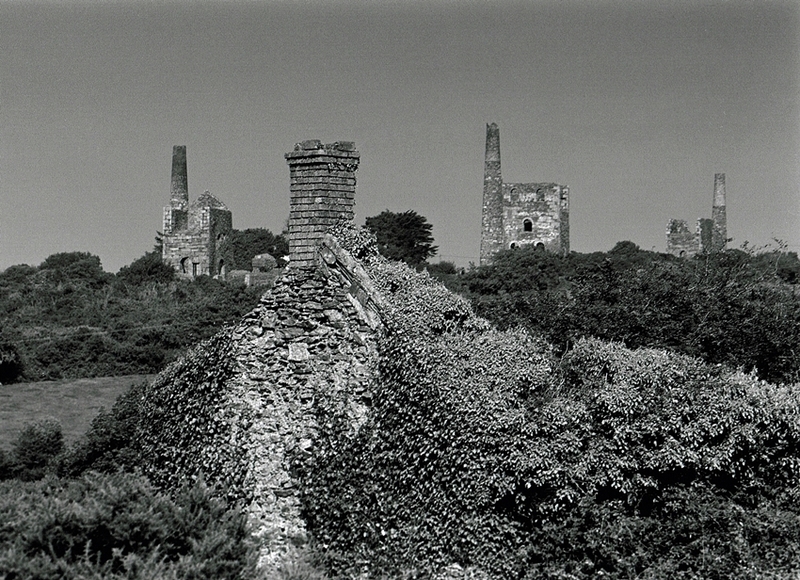 My favorite image, the view of the engine houses framed by the Calciner. The Stamps Engine House in the foreground, with the Pumping Engine in the background. The Stamps Engine from a different angle, the house held a 32″ beam engine which drove a battery of Cornish Stamps. A closer image of the Stamps Engine House. The foundations date from 1912 when a gas oil engine was installed to drive a battery of 20 heads of Californian Stamps. 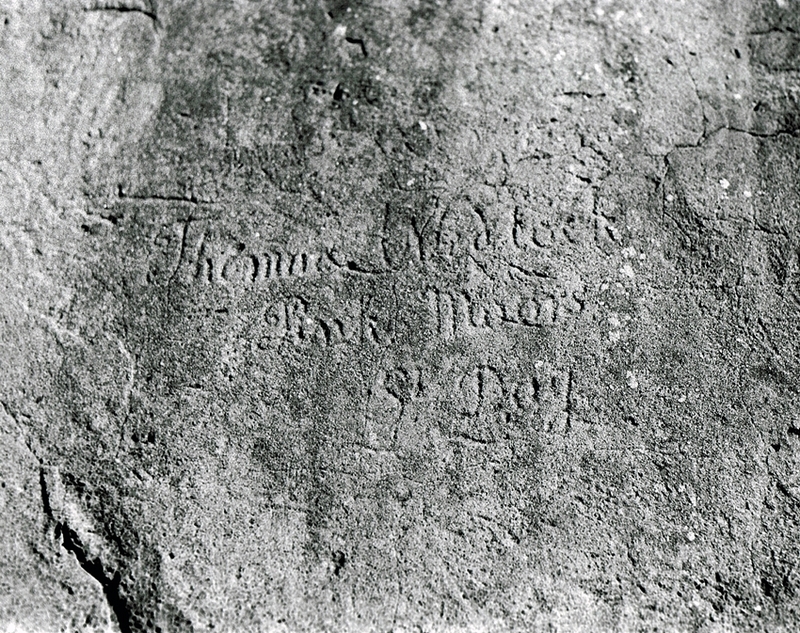 An amazing thing to see, when the Californian Stamps were installed in 1912, Brick Mason Thomas Wedlock of St Day left his mark. 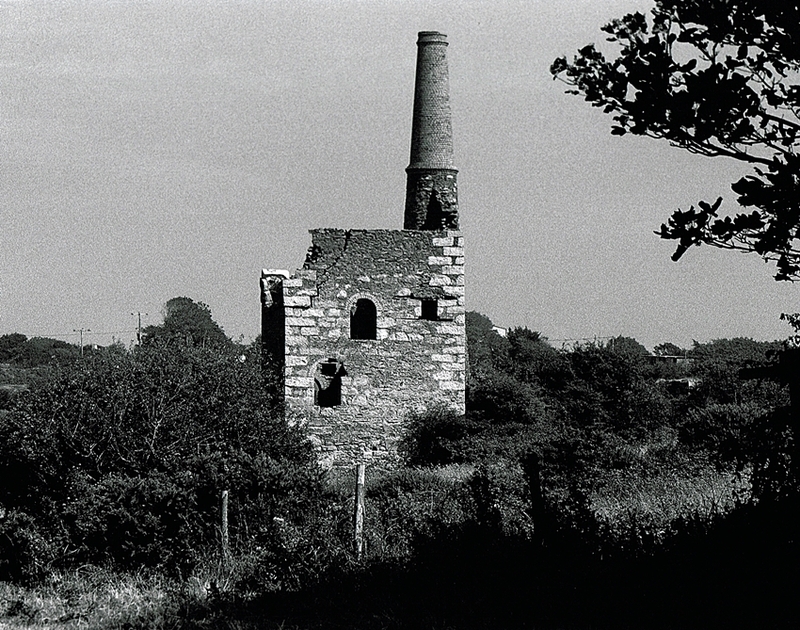 Walking on the path past the Stamps House gives a good view of the 70″ Pumping Engine House on Sir Frederick’s Shaft. Looking across the open shaft towards the 18″ Whim Engine House. When the site was stabilised the shaft was made safe and grilled over. The shaft was drained by the County Adit at 48 fathoms, eventually the depth reached was 170 fathoms. 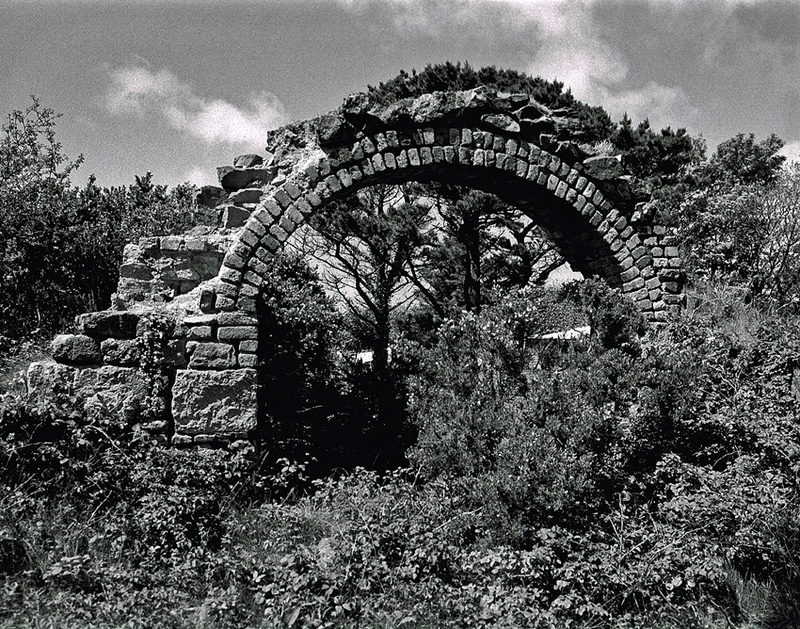 The remarkable survival of the boiler house arch at Sir Frederick’s Shaft Wheal Peevor. 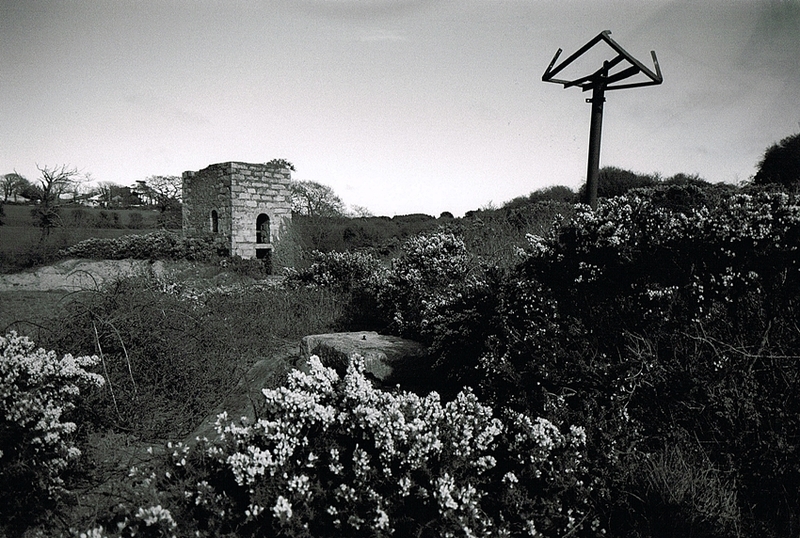 A final image of Sir Frederick’s Shaft Engine House from the front, the Whim House is in the background. The front wall shows the sad condition of the stonework before the stabilisation. Originally this held a 60″ engine with a framework (lattice) beam dating from 1835. When the mine was reworked in 1912 the 70″ engine was installed. 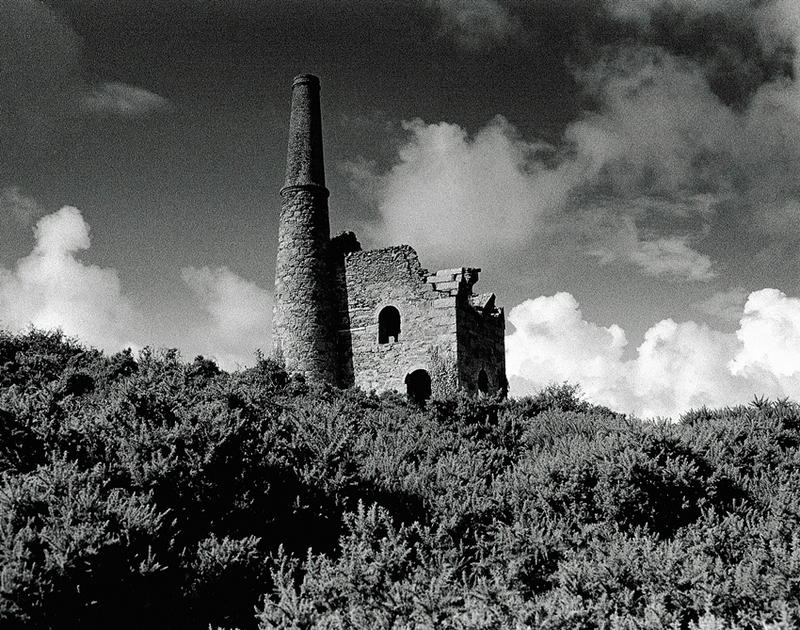 Both the mines were abandoned in 1887 due the low price of Tin. During its lifetime the mine produced a total of 3,280 Tons of Tin. The site then lay idle until 1912 when there was a plan to mine Wolfram which was believed to be present. New machinery was installed but this attempt was abandoned after the end of the First World War.